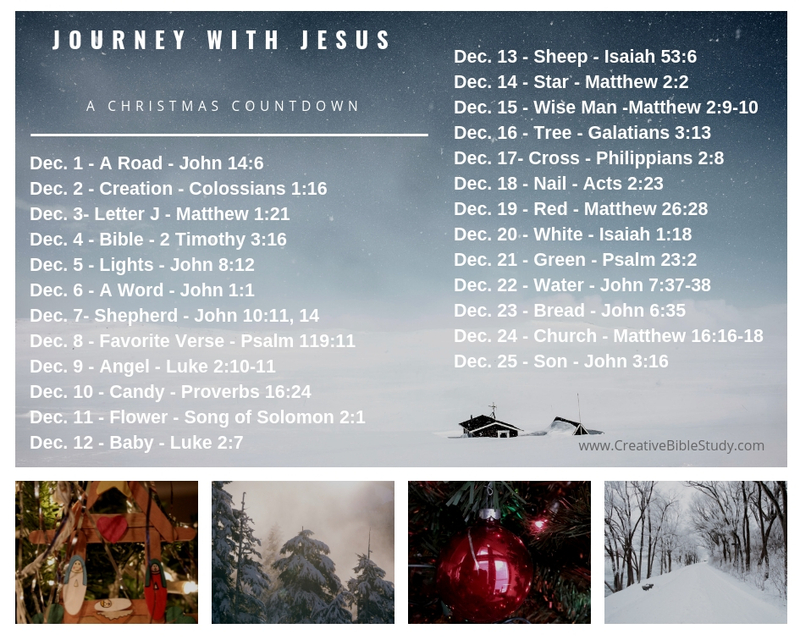 Number 13 Christmas devotion of twenty-five Christmas countdown on-the-go, active, object lesson devotions with Bible verses to help us keep our focus on the true reason for the season! Each day snap a photo of each item for a visual and use as a photo challenge on Social Media, or with your family, small group, friends or just for yourself. It’s a fun way to enjoy the presence of Christ each and every day as we look towards celebrating His birthday! 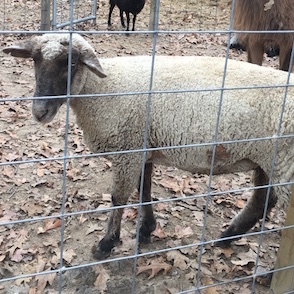 I was so excited that I was able to visit a petting zoo and take a photo of a real sheep for this photo Christmas devotion! I'm sure somewhere in a sermon or Bible lesson you may have heard how "dumb" sheep are; it isn't their intelligence that lacks though, it's more of their stubbornness for independence that is strong. Even at birth they are able to stand very quickly on their own. I believe this may be why God refers to us as sheep in the verse above. Our human nature and pride cause us to strive for independence - doing things our own way. The focus of the verse is not really on the stubborn sheep though, it is on the Good Shepherd that stands in the gap protecting the sheep. That is what Jesus did. 1. Sheep have poor eyesight but they do have a keen sense of hearing. The Bible refers to us as blind before knowing Jesus as our shepherd. Jesus does say however we will hear and know His voice. 2. Sheep are timid and nervous by nature and for a very good reason - they are pretty much defenseless against predators. So many times we think of God's Word as a bunch of do's and don'ts to spoil our "fun". God is our Good Shepherd wanting to protect us like a parent; He desires to be our Heavenly Father and protect us from evil and our own lost way. A good parent doesn't tell their child to not touch the burner on the stove to steal their fun, but because they know it will harm them. God's Word gives us truth to protect and lead us to God's best for us. I love the lyrics of the old hymn - "Trust and obey, for there's no other way, to be happy in Jesus, but to trust and obey." There is such truth to that! When we trust God (become dependent upon Him), there is such freedom found in which we can safely live. Satan wants us to think that independence and separation from God is freedom, when actually it is the exact opposite. When we know the boundaries in which we are safe, there is complete freedom. 3. Sheep like to be in a group and have a knack of huddling together and wherever one goes, others follow. Isn't this true of our human nature too? We tend to follow the crowd. We want to be a part and belong, but following the wrong crowd can be dangerous. God has provided a place for us in His family - the Church. It is our choice of where and with whom we "huddle" and follow. Joy, peace, purpose, grace, mercy, and all of God's other riches are found only when we follow the Good Shepherd, Jesus Christ. In Him, there is freedom and safety. 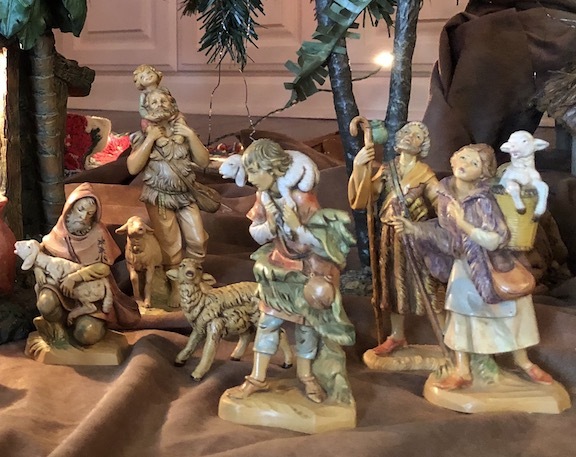 So today as we see sheep in manger scenes or Christmas cards, let them remind us of this Christmas devotion and our Good Shepherd Who - "has caused the iniquity of us all to fall on Him."